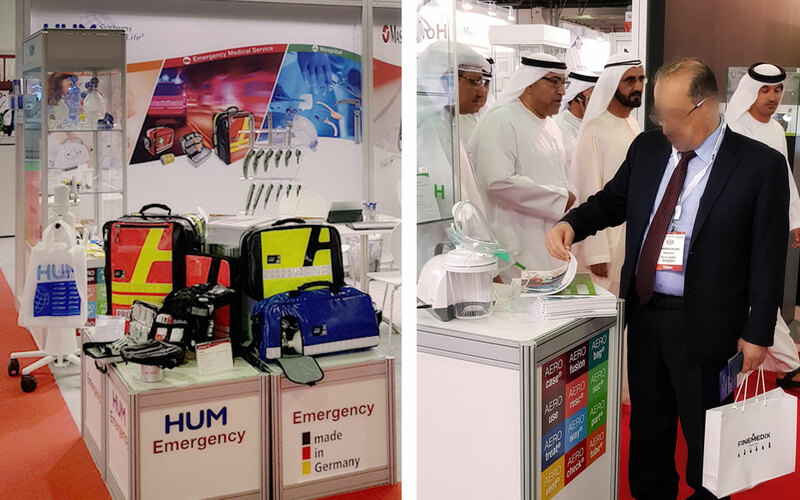 HUM would like to thank all its visitors, customers and business partners for being once again part of Arab Health, the central industry meeting point for innovations in medical technology and medical services in the MENA region. Arab Health has also reaffirmed its claim to be an attractive platform for European market participants to gain access to the Asian medical device market. As in previous years, Arab Health has enabled us to establish new contacts and maintain and expand business relationships with partners all over the world. With more than 100.000 visitors, this fair in the Middle East once again confirms that it is one of the most prestigious events in its sector. The many informative technical and feedback discussions help HUM to continuously optimise its existing product portfolio in line with our motto “Systems for Life”. The new Packaging Law (VerpackG) came into force on 01.01.2019, replacing the 1994 Packaging Regulation (VerpackV). The registration in the new packaging register LUCID of the Central Office Packaging Register (ZSVR, https://lucid.verpackungsregister.org/) is mandatory for companies which distribute packaging. 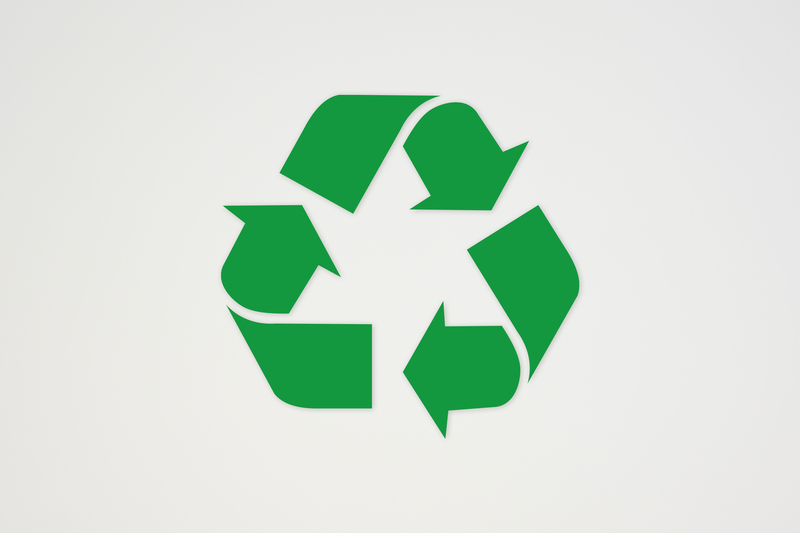 By registering, HUM fulfills this obligation and thus supports the preservation of transparency and fairness in the market of packaging waste management. We are happy to act in an environmentally aware manner and to send out a clear signal for sustainable corporate governance. 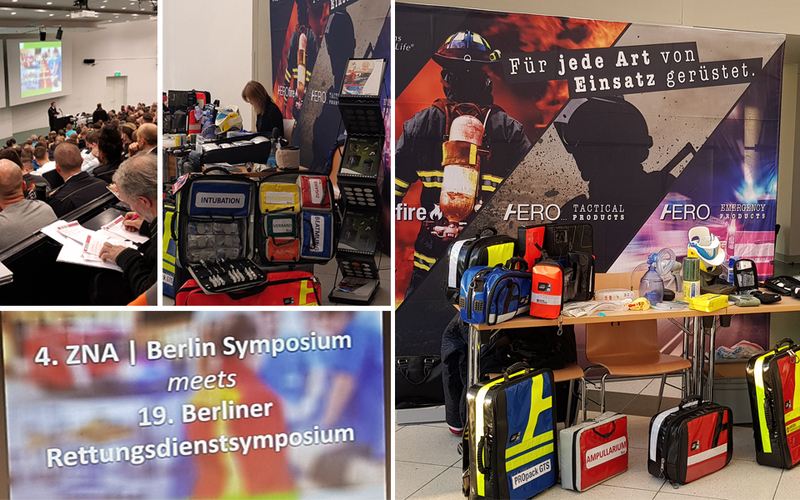 HUM participated for the first time as an exhibitor at the Berlin Emergency Medical Services Symposium (Berliner Rettungsdienstsymposium) from 16 to 17 November 2018 and exhibited at the venue in Charité Campus Virchow Klinikum its product range optimised for rescue services, including AEROcase® EMS+ emergency bags and backpacks. The conversations at the HUM booth and the highly interesting and informative topics were very aptly chosen from the practice for the practice. Current topics such as very special missions, primary care for accident victims, practical examples of children's emergencies from the preclinical stage and much more were dealt with. For us as a medical technology company, this gave us the opportunity to get in direct contact with users and receive their feedback. HUM would like to thank all visitors and speakers for their interest in our products and the interesting exchange! The HUM team would like to thank all partners, customers and visitors who contributed to making our booth a sought-after Medica meeting place at this year's edition of the world's leading medical technology trade show. Only through constant dialogue with the market can we achieve to offer continuously updated and improved medical devices. The Medica represents the ideal platform for this. We are pleased to continue working on it in 2019 and to be able to welcome you again in Düsseldorf next autumn! 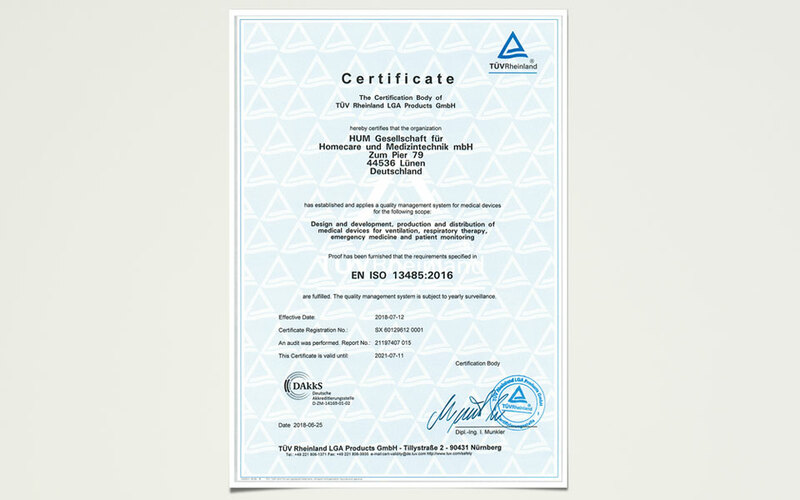 The quality management system of HUM GmbH was certified by TÜV Rheinland in June 2018 according to EN ISO 13485: 2016. With the certificate, TÜV Rheinland confirms that we as a qualified manufacturer of medical products consistently implement the increased standard specifications with regard to safety, quality and reliability of our products as well as the required risk management procedures. 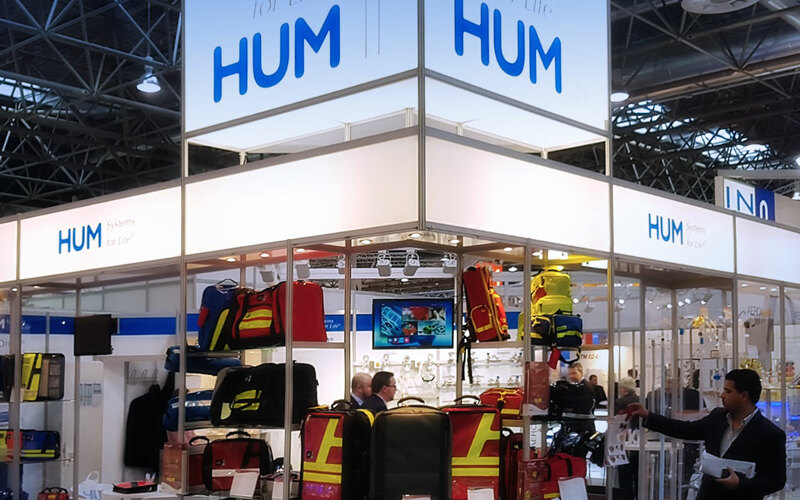 HUM participated for the first time as an exhibitor at the Combat Medical Care Conference (CMC) of the German Society for Military Medicine and Military Pharmacy from 13th until 14th of June 2018 and exhibited its new tactical product range at the venue in Neu-Ulm. The conversations with the participants on this international platform, with visitors from 32 nations, were highly interesting for HUM. Especially the technical lectures on the challenges and risks in the tactical wounded care, with the main focus of the extended time needed for the medical care, enriched our product knowledge with direct relevance for use very much. HUM would like to thank all visitors for their interest in our products and the interesting exchange! From May 16 to 18, the 18th edition of RETTmobil , the leading European show for rescue and mobility, took place in Fulda. 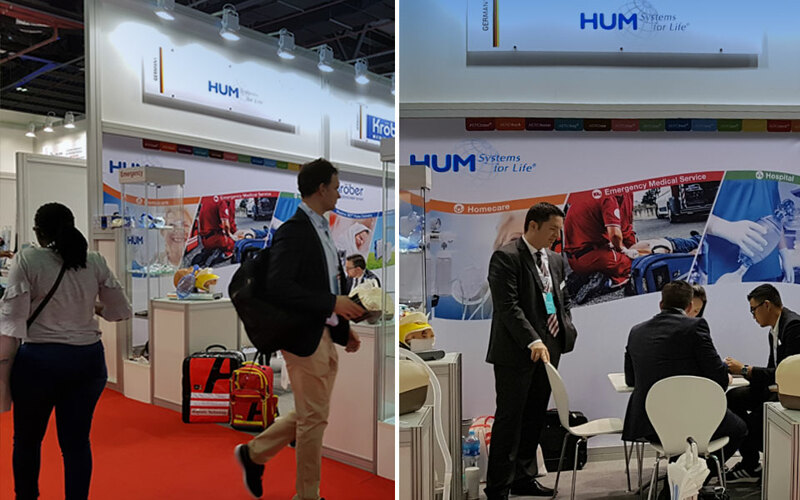 Thanks to a large number of new product releases, the HUM booth was heavily frequented from morning to evening and our trade fair team was delighted to receive interesting and demanding inquiries from trade visitors that either work in the medical business as volunteers or as professionals. The HUM team would like to thank all persons and partner companies who made our extremely successful trade fair appearance possible. We hope to continue to have the right feel for the product balance between form and function as well as quality and price. 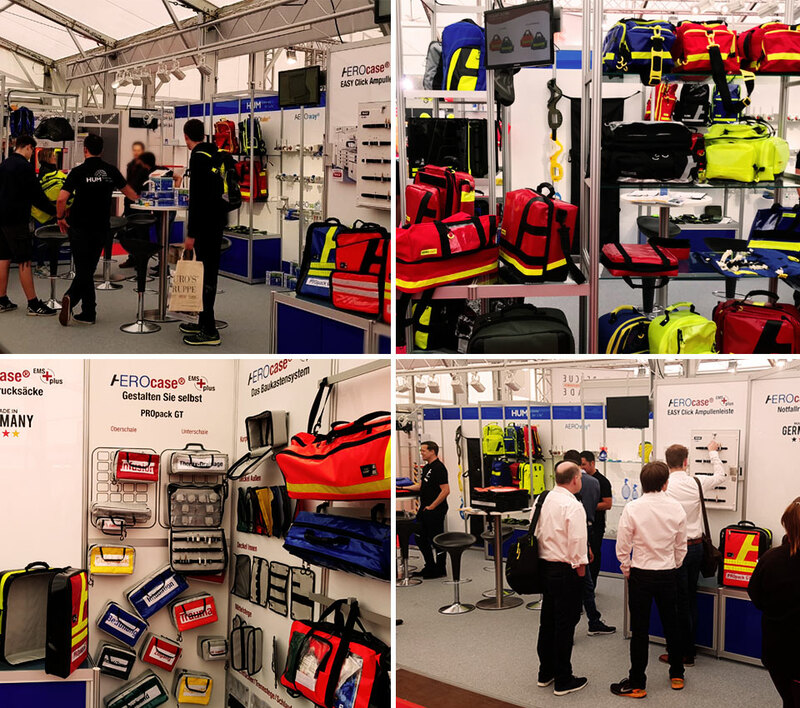 Regarding the new releases, the two highlights on our stand certainly were the completely redesigned AEROcase® ProEMS+ emergency and transport cases and the EASY Click ampoule rail system. Visitors at our booth were able to put the configuration options of the AEROcase® EMS+ series modular system on a magnetic wall, thus drawing conclusions about the perfect interaction of our products with their own application profile. The new EASY Click ampoule rail system for ampoules and vials convinced visitors with its wide functionality: The safe hold of the ampoules in combination with easy adjustability, the smooth withdrawal and equipping of the clips and the integration of the system from a stationary or mobile medication cabinet to the ampoule case aroused a very positive response among the professional rescuers. HUM would like to thank all its partners, customers and visitors who, through their presence, have made our booth at the Arab Health an attractive and well-attended meeting place in this year's edition. Arab Health has once again lived up to its claim to be the leading trade fair for medical technology in the MENA region and has been able to underline its role as a meeting point for medical technology between Asia and Europe. The interesting and insightful international sales and feedback discussions help us as a medical device company to continuously offer new and better products in the areas of homecare, EMS and clinic. We thank you very much and are looking forward to achieve this purpose again next year. Also this year at Christmas time the HUM staff will donate for a good cause. 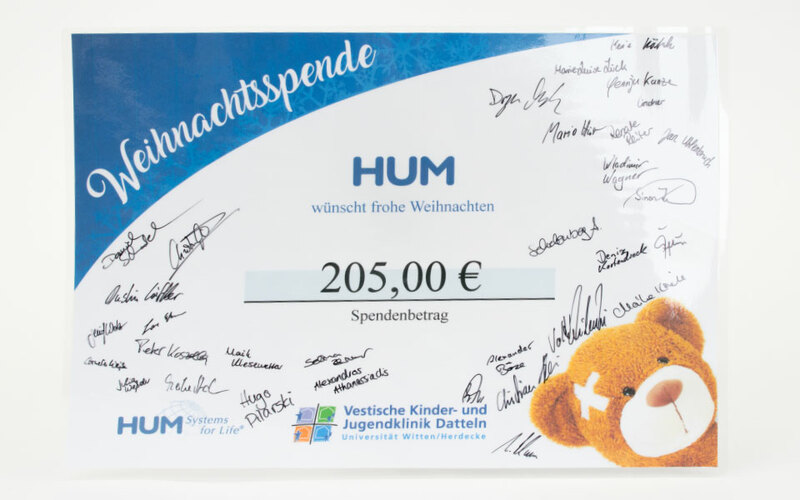 For the "German Teddy Foundation" a donation of € 190.00 has been collected by the HUM staff. In a Christmas campaign, the daily Lüner Anzeiger collects donations for this foundation in order to buy so-called "comforter teddy bears" and to distribute them by rescue, fire and police personnel to children in emergencies. Our staff is pleased to support this initiative for needy children! 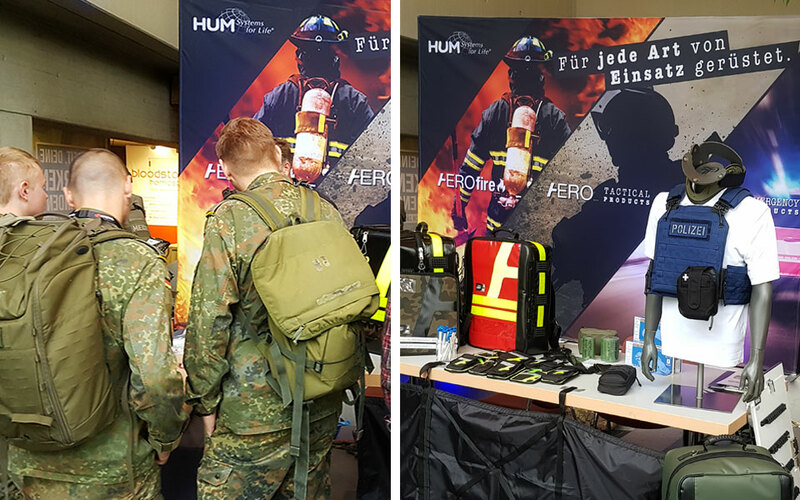 HUM participated in the Forum Civil Protection of the Johanniter-Akademie Bildungsinstitut lower saxony / bremen on 25th of November 2017 and exhibited its new tactical products at the venue in Hannover. The conversations with the participants of the forum were not only highly interesting from a medical technology point of view, but also the lectures enriched the background knowledge about the challenges that people working in civil protection deal with, on a daily basis. 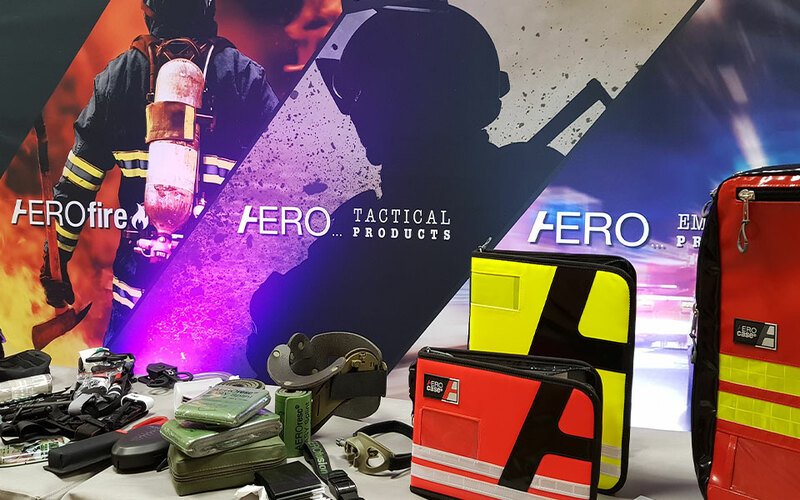 Among other things, lectures on the subject of tactical wounded care, tactical situations from a police and medical point of view, civil protection, medical service and de-escalation at major events, were held. 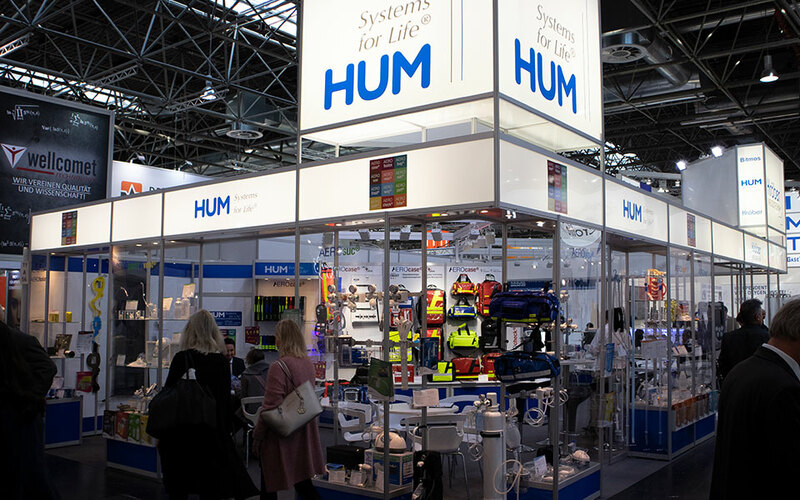 HUM would like to thank all forum participants for their interest in our products and the interesting conversations! HUM would like to thank all partners, customers and visitors, who contributed again in this year's edition of Medica, the world’s leading trade show for medical technology, to make the stand of our company a busy trade fair meeting place. Interesting sales and feedback discussions help us to offer the market continuously better medical devices. We thank you very much and are looking forward to making this purpose real again next year. Especially around the Christmas time, the time of love and comfort, the HUM staff is once again ready to donate for a good cause. Here, HUM surprised the Vestische Children and Youth Clinic in Datteln with a special Christmas present, a donation of € 205.00. Johanniter Cologne are glad about a big donation from HUM! The announcement that another company just donated 4000 cots for refugees in Greece prompted us to donate spontaneously as well. “As the misery of the refugees is so big, HUM is very glad to be able to help in this manner.“ said Mr. Uhlenbruch, CEO HUM GmbH.